About five years ago, I hit an unexpected wall that no creative person should ever have to go through. Imagine this – you are at the top of your game and getting gigs with a rising reputation when a physical challenge of hearing loss threatens to derail and possibly end your promising career. After ten years of DJing, that’s exactly what I experienced. 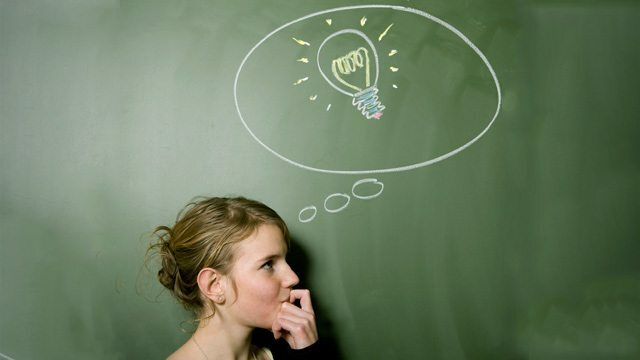 This article is the story about what happened, and how you can avoid the same mistakes. The English pronounce it “Tin – nit – tus” and the Americans “tin -nye-tus”, but anyone that has tinnitus would call it “life-changing”. Chances are most of you have experienced the sensation of ringing in your ears after a particularly loud concert. Full time DJs know that it can take up to 1-3 hours after a gig before the ringing finally goes away. Unfortunately, for some people, that persistant buzz never disappears. They’re left with a constant tone – for life. This condition is called tinnitus, and can range from barely noticeable low tones to disturbing high frequencies that end careers. 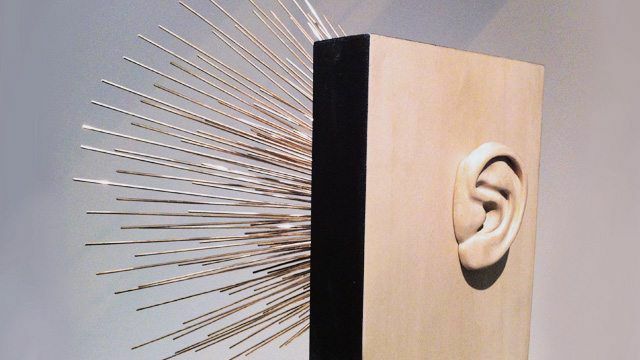 To hear what tinnitus really sounds like, listen to this fantastic podcast from “This American Life”. The average night club can range from 100DB to 115db, with Sankey’s boasting a wholloping 120db output. OSHA (for the non-US readers, that’s our federal Occupational Safety and Health Administration) guidelines dictate that levels above 105 DB in a work place are “unsafe” for more than one hour and could lead to hearing damage. 115DB? – 25 minutes. The problem DJs face is that their near field monitors are usually under-powered, over-cranked and at very close proximity to the head. These factors mean very high SPLs and DBs in mid to high frequencies, which can cause real problems if not managed properly. 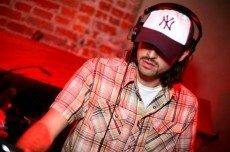 In late 2007, I was at the top of my DJ game, playing 3-4 gigs per week, traveling throughout the world and making a pretty good living playing music. This all started to come to a screeching halt when tinnitus showed up. Personally, I was lucky. My hearing loss popped in and out randomly throughout the week. Suddenly, in the middle of the day, a high-pitched frequency would fade in as if someone had turned on a miniature synthesizer in my head. After three minutes or so it would drift away, but the fear was ever present: what if this doesn’t go away? That fear, and the realization that DJing was making things worse, triggered me to change my lifestyle and significantly reduce noise. In the end that meant adjusting how I DJed, cutting most gigs and limiting set lengths. Having something taken away from you without choice was profoundly depressing and took a while to get over. Fortunately, it was a blessing in disguise. Instead of gigging full time, my focus turned to this site and today, I feel significantly more fulfilled helping others DJ but for many, tinnitus may mean the end of a career completely. 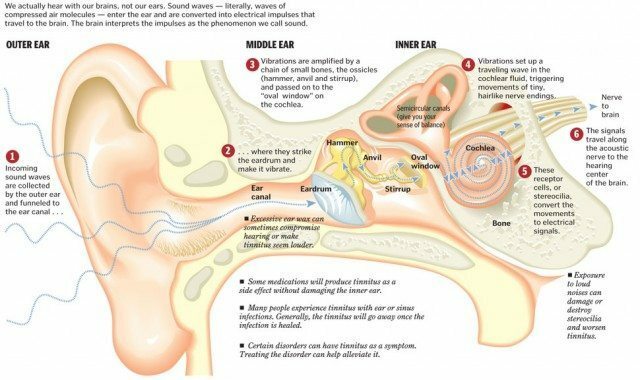 Image from the Washington Post – click to enlarge and read some awesome details about tinnitus and hearing! Tinnitus is the medical term for the perception of sound in one or both ears or in the head when no external sound is present. It is often referred to as “ringing in the ears,” although some people hear hissing, roaring, whistling, chirping or clicking. Tinnitus can be intermittent or constant-with single or multiple tones-and its perceived volume can range from subtle to shattering. Tinnitus is caused by exposure over time. By keeping your monitors on throughout a set, your ears naturally fatigue, demanding higher volumes to produce equal results. This downward cycle can only go one direction. To end it, simply turn off the near-field DJ monitors whenever possible. 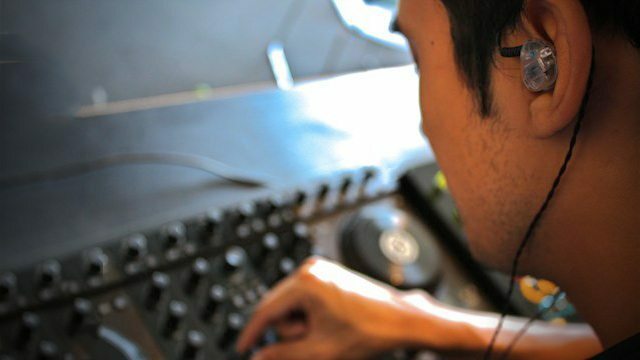 This practice actually provides a unique opportunity as well, as it gives the DJ an idea of how the master system sounds and if it needs to be tuned. After a long gig the ear follicles are very fatigued and at their most vulnerable. Basically, they need time to recover. Packing gigs back-to-back will layer on the damage and never give the ears a decent chance to recover. I did the most damage when I was playing back to back sets of 3-6 hours. It only took a year of this routine before things started to get pretty bad. Personally, I find that a one hour set almost never causes problems with in-ears or very conservative monitoring – but I can really feel things after two. For most DJs, limiting set lengths is not an option but if you are having problems this may be a compromise that saves a career. 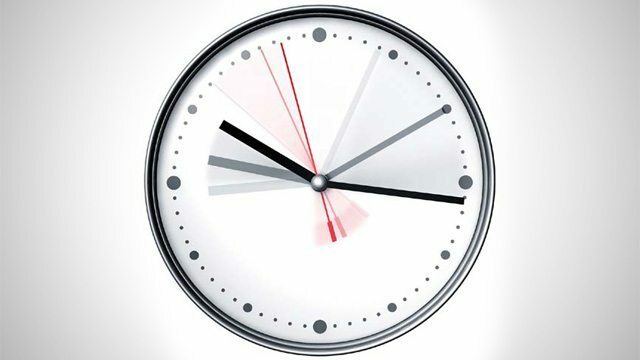 chances are high that you’ll be spending more than one hour in the club. For more on that, go onto tip # 4. What if you could hear the music perfectly, but just have the loudness lowered? Wouldn’t that be perfect for DJs? Well, such technology does exist (although not perfectly). 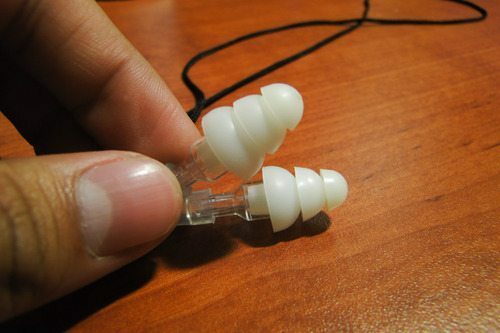 Many companies out there manufacture custom-molded decible-reducing ear plugs. They have exchangeable filters that step down the volume in increments- often 5,10,15 or 20 DB. In theory, this reduction is even across the spectrum range producing a even response that does not distort your sonic perspective. This is very important if you are the person in charge of tuning the frequency response of the room. 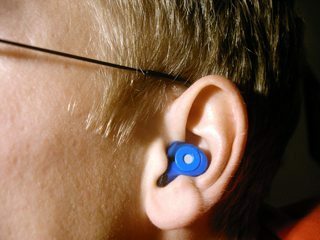 Custom-molded “musicians ear plugs” (example below – often $100+) – these often require a trip to an audiologist – read more here! We’d recommend grabbing a pair of non-custom earplugs ASAP if you don’t already own them. Take them out, give them a spin and see what difference it makes when you come home and your ears aren’t ringing after every night you go out. 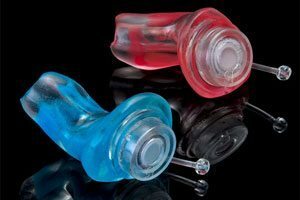 Custom-molded musician’s earplugs are an investment, but many professional performers swear by them as the best way to prevent hearing loss. You’ll often find sound professionals using them as well – sometimes in the range of 30 or 50 decibel reduction. This was my personal solution, and one that has effectively worked for most modern musicians. In-ear monitors block out the outside world, creating a very low noise listening environment where every detail of the mix is perfectly exposed. Your in-ears don’t reflect what the room sounds like, so things may sound great in the headphones but terrible on stage. For in-ears to be effective they need to be in both ears, preventing traditional “pre-cuing” popular with most DJs that beat match manually. In-ears eliminate that iconic “DJ” look with big over-ear cans, and replace them with a more “iPod” look that some DJs feel does not look professional. 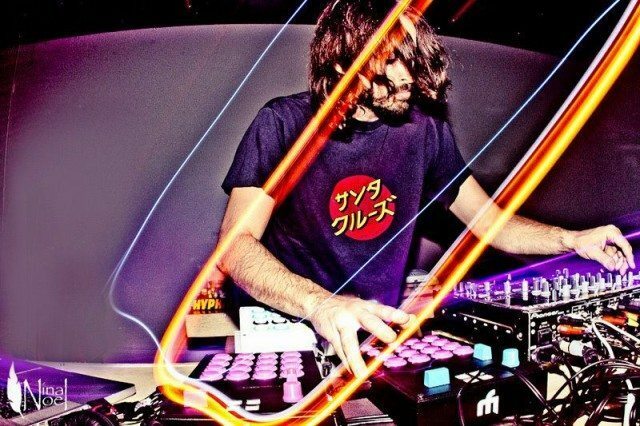 Some DJs, including myself, feel that in-ears make you feel isolated from the crowd and eliminate the excitement of the loud sound system that seems to naturally stimulate our brains. In short, you might feel less “into it” without the sensation of a huge sound system at your finger tips. For controllerists using a lot of effects and scratching, in-ears are potentially very misleading, with certain things sounding perfect in the headphones but far too loud and piercing on a larger amplified system. Personally I found this to be a serious issue and now DJ with monitors when doing particularly “live” sets. After a few years of laying low, I’ve started to gig again (a few times a month) with in-ear monitors, one hour set times, and careful near field monitor management. With this regimen and a few years off, my condition has greatly improved – with almost none of the symptoms previously mentioned. After a solid night of DJing, pain does show up – but the ringing and dizziness are basically gone. The Lesson Learned: Your ears can heal themselves of short term damage, but once things are really broken, they are broken for good. Start adopting healthy DJ habits before it’s too late. If this is the only thing my site teaches you, then it will all be completely worth the effort.